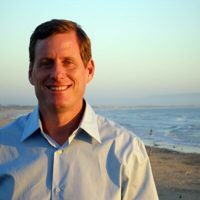 A San Diego County judge fined Pismo Beach Councilman Erik Howell $3,500 over his failure to disclose ex-parte communications as a member of the California Coastal Commission. In a case relating to alleged pervasive conflicts of interest within the regulatory body, a nonprofit named Spotlight on Coastal Corruption filed a lawsuit in 2016, alleging several coastal commissioners illegally hid private meetings with developers and other lobbyists from the public. By law, coastal commissioners are required to disclose ex-parte communications within seven days. Howell and the other current and former commissioners named in the suit could have received fines of up to $30,000 for individual violations. The initial complaint sought that the court fine Howell a total of $3.6 million for his alleged breaches. The most any single commissioner ended up being fined was slightly more than $30,000. According to Howell’s testimony in the case, the Pismo Beach councilman would often snail mail his disclosure forms before later gradually beginning to use email. He was not checking if commission staffers were receiving the forms. Howell had received training on ex-parte communications in open session, according to court minutes. The Pismo Beach councilman claimed he was not very good with technology, and he could not figure out how to get his signature on email documents, court minutes state. Howell also said he believes the public should perceive him as honest and that there is no reason for the public to be dubious. In a related matter, Howell previously faced stiff criticism for accepting a campaign contribution from the domestic and business partner of Coastal Commission lobbyist Susan McCabe and then voting in favor of a project McCabe was pushing. The FPPC launched an investigation into the matter but ruled that Howell did not violate campaign finance laws in the case because he may not have known about the relationship. The court case against Howell and the other commissioners surrounded meetings between commissioners and individuals like McCabe, who were accused of influencing commissioners’ decisions. While Judge Timothy Taylor criticized and ultimately fined the past and present commissioners for violating disclosure rules, he also sympathized with them. Taylor questioned in his tentative ruling whether the Coastal Commission can carry out its mandate to protect the state’s coastline with a part-time, unpaid volunteer board that meets three days a month in various locations. During the case, the California Attorney General’s Office represented the current and former commissioners, even though they were sued as individuals. The state attorney general’s office offered a $250,000 settlement that would have included money for fines and attorneys’ fees. Spotlight on Coastal Corruption turned down the settlement officer, which would have been paid with taxpayer money. The fines Taylor levied against the past and present commissioners must now be paid to the Coastal Commission’s Violation Remediation Account. The account funds projects aimed at increasing public access to the California Coast. I’m sure he has many people that would step up to pay the fine. $3,500 ain’t s**t for a developer doing business with the coastal commission. It ain’t even s**t to build a single house. Another item you will not see in The Tribune. It kills me that my 92 year old mother subscribes. I’m going to talk her out of it because know I can convince her that she is giving money to the wrong people. I make her main expenditures and I will not spend money at any Tribune advertisers, now I just need to help choke off The Tribune itself.